Providing honest, trustworthy, and convenient metal recycling services. 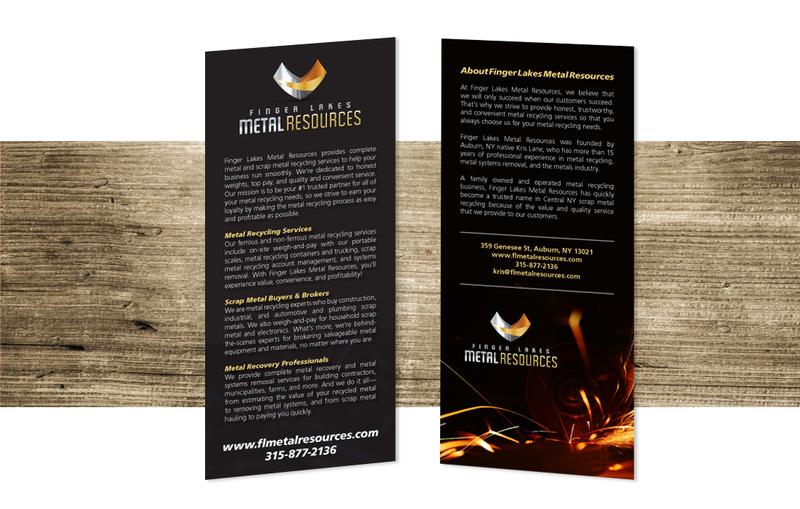 Finger Lakes Metal Resources turned to experienced content writers, Crème della Crème Copywriting & Communication to develop new website content and a rack card for potential customers. They also wanted a press release written to introduce their new location and promote their ongoing services. Crème della Crème Copywriting & Communication researched other metal recycling companies to ensure that Finger Lakes Metal Resources stood out from its competition. The rack card was written to provide an initial overview of the company and direct potential clients to the website. The live and redesigned website features in-depth information about Finger Lakes Metal Resources, their services, and how to contact them. For the press release, Crème della Crème Copywriting & Communication researched current metal recycling statistics; interviewed current customers; and summarized Finger Lakes Metal Resources mission, history, and services.